Te Papa has been providing open access to more than 45,000 high-resolution images for over a year. This session will address what a year's worth of downloads looks like from user, data, financial, creative, and museum perspectives. How do our numbers stack up against others internationally, and was it worth it? And of course, do we keep doing it? In June 2014, the Museum of New Zealand, Te Papa, made available to the public more than 30,000 high-resolution images of its collection to download and reuse. The images were made available with No Known Copyright Restriction (NKCR) statements (17,000 images) or Creative Commons attribution, non-commercial, no derivatives BY-NC-ND licenses (14,000 images) through Te Papa’s collections website, Collections Online (www.collections.tepapa.govt.nz). This paper describes Te Papa’s open access program with an emphasis on the results of the program after one year of activity. The paper is divided into three parts. Part One details the reasons why Te Papa developed an open access program, describing what we hoped might happen if we made our collection images available for reuse; and exploring the international, New Zealand, and organisational contexts within which the decision to support an open access program was made. Part Two explains Te Papa’s open access program in more depth, documenting what we put in place to deliver downloadable images and describing the initial response we received after launch. Part Three explores the results of the program one year on, describing the extent—and ways—to which Te Papa’s collection images have been used; and compares this activity with similar open access programs internationally. 2. Part one: Why open access? In launching Te Papa’s open access program, we hoped that our efforts would empower people to use images of Te Papa’s collection items in teaching and learning, research, innovation, and new forms of creativity. We recognised that for our online visitors, access now means being able to reuse a collection image, not just view it; and that if we wanted to stay relevant we needed to work with our visitors, not against them. We also saw benefits for the Museum. For Te Papa, we hoped that making our images available in this way would help open an exchange with individuals and communities that could bring new knowledge into the museum. We hoped that Te Papa’s reputation would be enhanced and that we would benefit as a museum from this public goodwill. In the medium term, we hoped these intangible benefits would lead to more tangible benefits like increased visitation and the revenue that would bring. Reducing licensing restrictions would also enable Te Papa to participate in high-profile online projects and collaborations that had previously been prohibited—projects such as Flickr Commons, Wikimedia, and the Digital NZ Mix and Mash competition. a changing environment at Te Papa where the principle of sharing authority became an organisational priority, and the public good aspects of previously commercial areas were being recognised. Between 2010 and 2013, a number of institutions in Europe and the United States made all, or significant proportions, of their digital collection, available for the public to download and reuse, often in the highest resolution available. High-profile open access image releases during this period were launched by the Rijksmuseum (150,000 images); the British Library (1 million images); the National Gallery of Art, USA (37,000 images); the Los Angeles County Museum of Art (20,000 images); the J. Paul Getty Museum (4,600 images); and Yale University (250,000 images). Why open content? Why now? The Getty was founded on the conviction that understanding art makes the world a better place, and sharing our digital resources is the natural extension of that belief. This move is also an educational imperative. Artists, students, teachers, writers, and countless others rely on artwork images to learn, tell stories, exchange ideas, and feed their own creativity. The Gallery believes that increased access to high quality images of its works of art fuels knowledge, scholarship, and innovation, inspiring uses that continually transform the way we see and understand the world of art. The open access policy allows us to more fully harness the potential of digital and networked technologies in service to scholarship as well as to creative use and reuse of our rich cultural heritage. It frees us to concentrate on our core mission to create, preserve, and disseminate knowledge in digital form. Why would a museum give away images of its art? […] it’s because our mission is to care for and share those works of art with the broadest possible public. The logical, radical extension of that is to open up our treasure trove of images. Los Angeles County Museum of Art. During this period, New Zealand’s annual National Digital Forum conferences were occasions for inspirational talks on open access from Michael Edson (director, Web and New Media Strategy, Smithsonian Institute) in 2010 and later Peter Gorgels (the Rijksmuseum) in 2013. During the period from 2009 to 2013, the New Zealand government clearly articulated the benefits of open access to New Zealand and New Zealanders. In 2010, the New Zealand Government Open Access Licensing Framework (NZGOAL) version 1 was launched. 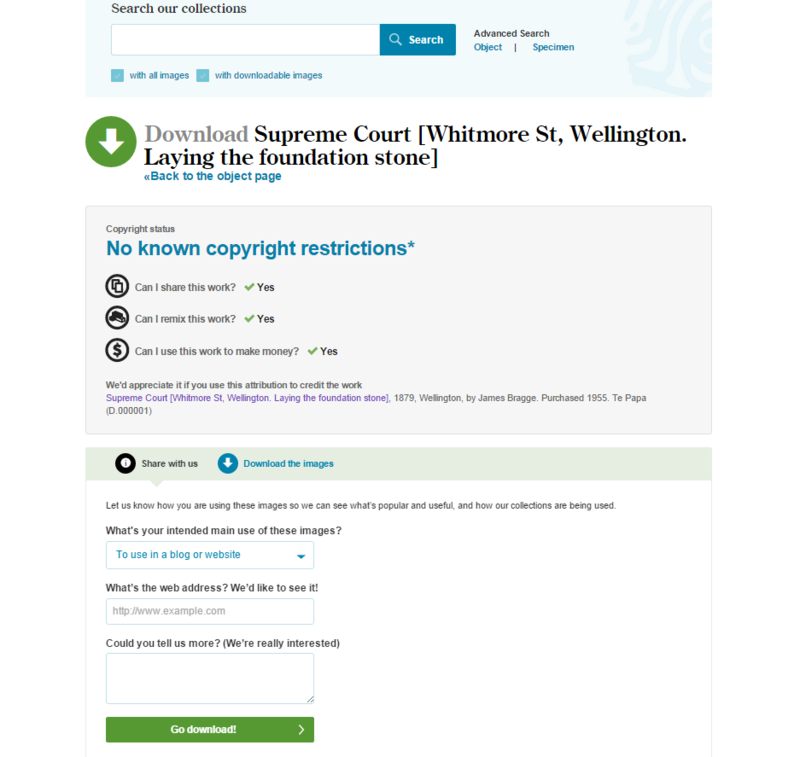 NZGOAL seeks to standardise the licensing of government copyright works for reuse using Creative Commons New Zealand law licences and recommends the use of “no known rights” statements for non-copyright material. (a) individuals, non-profit and commercial organisations can leverage this material for creative, cultural and economic growth, improved environmental sustainability, greater productivity, and the wider public benefit…. As an autonomous Crown (New Zealand government) entity, Te Papa was not directed to comply with the NZGOAL framework, but the government strongly encouraged state agencies such as Te Papa to adopt NZGOAL and provide public online access to non-copyright material that is, or may be, of interest to people using a “no known rights” statement. Agencies such as Te Papa were also encouraged to make their copyright works which are, or may be, of interest or use to people available online for reuse on the most open of licensing terms within NZGOAL—the Creative Commons Attribution (BY) licence—unless a defined restriction applies. Also, DigitalNZ, an initiative with nearly 200 partners, led by the National Library of New Zealand, had been championing open content for New Zealanders since 2009, and providing best practice for clear rights statements and encouraging reuse. DigitalNZ was able to harvest and provide open New Zealand related content from international organisations, but Te Papa was not yet contributing open content in a meaningful way. … share[ing] decision-making with iwi (tribes), communities, and individuals with respect to managing and understanding their taonga (treasures). Usually associated with how Te Papa cares for, interprets, and provides access to the physical collections in Te Papa’s guardianship, it was clear that this principle could be extended to digital initiatives—the open access program would provide a way to share authority over the collections with individuals and communities, enabling them to reuse the collections in their own ways without having to ask for permission. Alongside this envisioning process, Te Papa made changes to its organisational structure. These changes included moving the Te Papa Picture Library from Te Papa’s Commercial directorate to a unit of its Museum Operations and Services directorate: Digital Collections and Access. In Digital Collections and Access, the Picture Library was aligned with Te Papa’s Collections Online program. Importantly, the Picture Library was repositioned primarily as a service for the public good and to be measured in terms other than solely revenue generation. This alignment and positioning was an acknowledgement that image sales and licensing was not a significant aspect of Te Papa’s commercial operating model and helped address the long-standing tension that existed in the Museum between the imperative to derive revenue from image sales and the public good opportunities that an open access program would enable. Although Te Papa had been applying No Known Copyright statements and Creative Commons licences to images since November 2010, these images had only ever been made public at low resolution. This restriction had been imposed to reduce the risk of unauthorised commercial use of these images, and the perceived commercial impact that would have on the Te Papa Picture Library (later renamed Media Sales and Licensing). 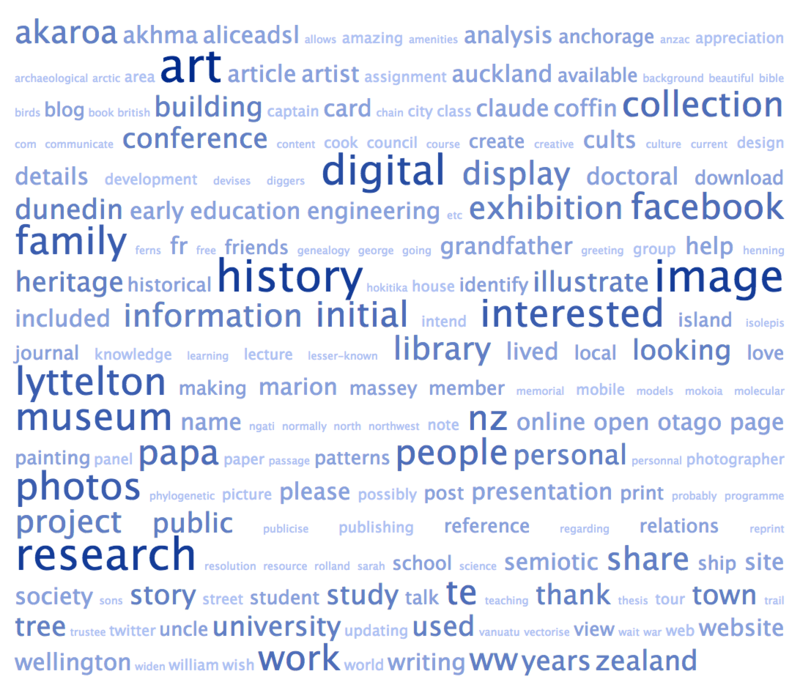 Between 2010 and 2013, the positive reaction to open access programs at museums in Europe and the United States; the New Zealand government’s emphasis on open access; and Te Papa’s new strategic priorities and changing business model created an environment where digital practitioners at Te Papa could make the case to extend Te Papa’s open access program to enable high-resolution download of collection images. In July 2013, Te Papa’s new strategic directions were outlined in Te Papa’s Statement of Intent—the Museum’s public accountability document that sets out its intentions, objectives, and planned outputs for the following three years. The Statement made a commitment to improving access to and sharing of the Museum’s collections. This commitment included improving Te Papa’s Collections Online website by implementing an Open Access Licensing framework to enable online visitors to download high-quality, high-resolution digital images free of charge. Te Papa set a target of making 10,000 images available at high resolution under “no known rights“ or Creative Commons licences for the following three years (Museum of New Zealand Te Papa Tongarewa, 2013). In 2005, Te Papa implemented KE EMu as its Collection Information System. A key goal in implementing this system was creating a truly central repository for all collection-related information, to the extent possible. The system is used to document all of Te Papa’s collection processes, such as acquisitions, loans, conservation, and exhibitions, as well as all collection-related digital media, and, importantly, information regarding rights and licenses. Public digital access to collection information had begun with baby steps in 2005 with the launch of Collections Online, with only a few thousand objects. As Te Papa matured digitally and began to understand the value of making the collections as accessible as possible, the Collections Online platform and content developed. By 2013, there were approximately 500,000 records describing collection items and specimens; over 100,000 images; and information on thousands of related people, places, topics, terms, and other related knowledge. The majority of Te Papa’s humanities collections, and the most significant science collections, were available. All the information and digital media was managed and delivered by EMu in what was now a well-oiled and stable publishing process, with updated content moving online hourly as collection managers, curators, and others added or improved content as part of their business-as-usual. Collections Online underwent a responsive redesign in early 2014. This ensured the platform was ready for the next stage of digital access to the collections. Similar to Kelly (2013), technology was not the driver of open access, but having stable platforms made it considerably easier to meet our goals of providing more open access to our collections to our users. We had the data we needed, the information management and publishing platforms, and we had the mandate to open our collections further for the public. We needed only two more things: a technical solution for providing access to the relevant high-resolution images (with appropriate security in place); and a clear process for users that gave very clear messaging on how the images could be used (or not), whilst providing as low a barrier to download as possible. We also needed to understand exactly what images we were going to be making available. As discussed earlier, the publishing process was already in place, with data in appropriate records triggering the images that would become available in Collections Online. Te Papa had been displaying appropriate licence statements on collection records since 2010, and from that time Te Papa’s rights advisor had been working tirelessly to identify as many collection objects as possible that were able to have an NKCR statement or Creative Commons licence rights module records attached. It was these two rights records that were used to enable the download process at the web layer: two very simple, easy to maintain flags. These flags, combined with “publish to web” flags on the individual images (again, managed by EMu and part of our right clearance process) allowed the EMu API (IMu) to allow access to the image files. This approval system combined with the image API also provided the benefit of making it simple to provide access to the available images through a simple, persistent URL without needing to go through Collections Online. We have already used this system to provide more images and content to other projects. Considerable testing was undertaken to ensure only images that were flagged appropriately were made available and that URL hacking would not allow access to files that shouldn’t be published, either because the object or the images didn’t have appropriate clearance (for example, a conservation treatment image of an collection object that was out of copyright, and therefore marked as No Known Copyright Restrictions). This was particularly important with contemporary artworks and images of provenanced taonga (Maori objects with known iwi—tribal—associations). Consistent with Collections Online’s persistent and easy-to-read URLs, the URLs for retrieving images were made simple and easy to construct with a valid image identifier. This fairly basic but functional delivery system has allowed us to enable simple image sharing with other external projects. We looked at many other institutions’ downloadable images. Download requirements ranged from a single click/immediate download to needing to provide an email address, through to needing a full account. Based on the goals of the project, we decided to make the images as easy to download as possible, but to gather enough information to let Te Papa make useful decisions regarding the future of the project. We opted for a download page that gathered the information required as concisely as possible, with a strictly optional and unobtrusive short survey. Working with our writing team, we tried various layouts and hierarchies for instructive versus informative information, and we tested our options on various users in house. We did not do any significant user testing, but will do so to inform any future iterations. Feedback so far indicates users find the user interface is simple to use. Further, with a respectable percentage of users willing to provide usage data, indications are that the use survey (described below) isn’t too obstructive. Users have been generous with their responses, and there is analysis of this information later in the paper. The survey platform we selected was keen.io, with minimal extra development. We selected it as it was lightweight, offered simple data retrieval, and is free at our requirements level. As with many “let’s see how it goes” solutions, it has stayed in place, as it continues to meet our needs. 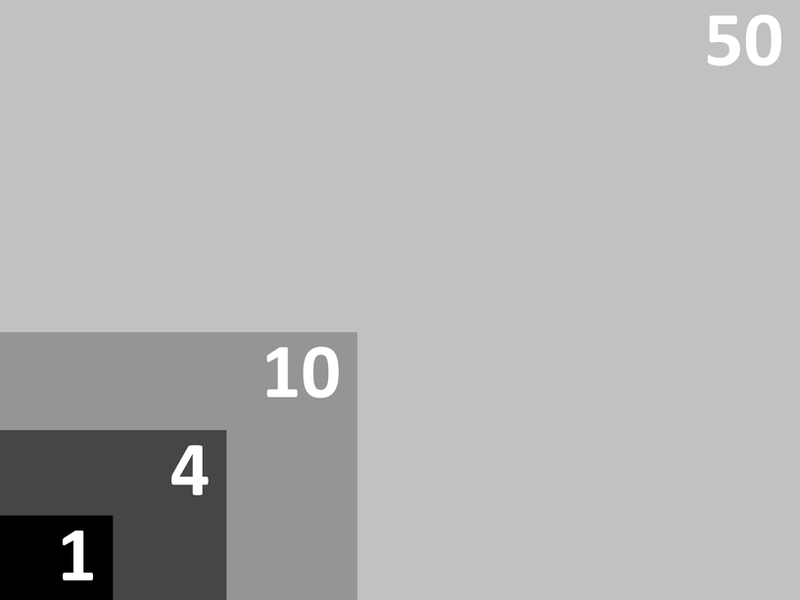 Normalised to fit a 4:3 ratio, the varying sizes are indicated below. For comparison, the most common screen size to visit the Te Papa website in June 2015 was 1366 x 768 (~1 MP), followed closely by 1920 x 1080 (~2MP). Combined, these two resolutions make up 25% of our visitors. We were pleasantly surprised with the overall distribution of image sizes, with the majority being over 4 megapixels (approximately 1800 x 2400 normalised). But overwhelmingly, most files were well over 10 megapixels, which made us comfortable that, for at least the next couple of years, we could say “high resolution” with confidence. The language we actually use is “at the highest resolution available,” and we make sure the pixel dimensions and file size are clearly shown before clicking the download button, to help negate any unpleasant surprises, that either the image is too small or too big. We decided to only make 1:1 JPEGs with minimal compression available, even if we had TIFFs, for a number of pragmatic reasons. We hypothesized, based on the nature of examples we had seen used by people who had asked for reusable images, that most were destined for digital screen-based use only. JPEG is more than adequate for most screen and Web purposes. We also did not want to inadvertently have users downloading files that were hundreds of megabytes in size, which many of our larger TIFFs can be. And finally, it also kept our delivery system simpler and more secure. The multimedia repository that delivers the images only holds JPEGs (derivatives of the TIFFs we hold), and the repository with the TIFFs and other restricted images sit in a different location. We have not had much feedback about requiring TIFFs, but we do offer the option to contact the Media Licensing department if for some reason the user would like access to the TIFF. Te Papa has not previously marketed online access to the collections, and this was a real opportunity to finally say something we thought would be of real interest to the New Zealand public and the wider sector. We did not have any specific budget, but we did have a plan. We launched with a press release coauthored with the Minister of Culture and Heritage; we circulated to local press, blogged, and hit our main social media channels. The coverage was well received and redistributed. Good local newspaper coverage included a two-page full-colour spread in a national paper. The online coverage was smaller but generated significant coverage to Collections Online (New Zealand Herald, 2014). Social media response included hundreds of retweets, favourites, and likes, and good international blog coverage. There were three negative tweets, all focussing on the fact that the creative commons licence was one of the most restrictive. These were reasonably quickly defused with replies suggesting this was still a big step forward, and that Te Papa may look at updating the CC to a less restrictive license in the future. Traffic to the Collections Online site increased approximately 500% at peak on the first two days. There were over 5,000 views of the launch blog post describing the project in the first month, which was the highest for the Te Papa blog that year (Kingston, 2014). Te Papa had no evidence-based numbers as a target for downloads, but it was generally agreed that approximately 5,000 downloads of images in the first 12 months would be a useful target. If the images were unique, it would equate to 15% of the original 30,000 images released, but we knew the images downloaded would often be repeated by multiple users. The table above shows the images available by collection at the most granular level. For the analysis from this point on, due to the relatively low numbers for some collections—particularly science collections—some collections are grouped into broader categories. Also, in the analysis we will be comparing against the number of objects with images available under a downloadable licence as of June 4, 2015, one year after launch, as during the 12 months after launch we progressively added 20,000 images to the downloadable pool, pushing the total from 30,000 to 50,000. While this does makes the analysis more difficult to directly compare, it reflects the organic nature of growth of content and use. If we were to use the original 30,000 number at launch, the percentages of use would be more flattering, but less accurate. Just over 30,000 images were available at launch, and in the 12 months since then, another 20,000 have been made available, taking the total available to 50,464. In the 12 months following launch (June 4, 2014, to June 3, 2015), 17,405 images were downloaded. We were expecting a drop in downloads following the hype around the launch, but were pleasantly surprised by the fact this activity only fell by about 50% and remained relatively high, barring seasonal and event-based peaks and troughs. For example, December was lower, most likely due to New Zealand summer school holidays and matching decline in general visitation to Collections Online; and an increase in World War 1-related material in March and April corresponding to the 100th anniversary commemorations on the Gallipoli ANZAC landings. This appears to be a similar pattern witnessed by the J. Paul Getty Museum (though on a considerably larger scale). A launch in August 2013 with 4,600 images available resulted in 57,901 downloads in the first month, gradually settling down to ~9,000 to ~16,000 downloads per month (an additional 13,500 images were released in January 2015, resulting in a slight increase of downloads from that point) (Chen, 2015). With the Getty project having run for two years, a year longer than Te Papa, that the pattern remained steady is encouraging. We are also have significantly lower visitation and downloads than the Rijksmuseum, which has 30,000 visits per month to the Rijkstudio as of 2013 (Pekel, 2013). Averaging across the 12 months, every 100 visitors to collections online resulted in 5.6 download events. With the majority of the images (84%) available being NKCR, it is not surprising the majority downloaded were of this license. It is interesting that whilst two thirds of the Creative Commons Licensed images were unique downloads, less than half of the No Known Copyright Restrictions image downloads were unique. To put it another way, many of the NKCR images were downloaded more than once. Perhaps correspondingly, only 15.7% of the NKCR images were downloaded at least once, whilst 29% of the CC images were downloaded at least once. This is less likely to be about the license itself, but instead the types of content that are issued with those licenses. For example, the images with No Known Copyright Restrictions are predominantly two-dimensional pictorial works, highly reproducible and suitable for many occasions, and of interest to many users, resulting in repeated downloads of a few images. At the same time, the photography collection has varying degrees of cataloguing quality, meaning some of the images are more difficult to find, therefore making some images under-represented in download statistics. The CC licensed images are of a variety of three-dimensional objects, often industrial or domestic design, or in Te Papa’s case natural science specimens. These tend to be of individual interest to a more niche audience and are more widely spread across the images. While a number of images downloaded were 1 megapixel or smaller (very old, very small scans), it is pleasing to note the vast majority of images downloaded were over 10 megapixels, providing most of our users with very usable file sizes. The still relatively high proportion of small images downloaded indicates the images do still have some value to users, as they continue with the download even after we have made very clear on the download page the small pixel dimensions and file size. Whilst we would ideally like to replace these with newer and larger images, until this happens we still believe there is value in keeping these small images available. A small usable image is still better than no image. Some of the top 10 objects have direct relationship to those promoted at launch, and these items dominated the top 25 at assessment after six months. More recently, archival material relating to WWI has shown organic demand due to the centennial commemorations of the the ANZAC Gallipoli campaign. Other items are finding their way up the ranks through being unique and interesting. These are the objects that always find an audience: the mummified moa head, the colossal squid, John Webber’s Portrait of Captain James Cook, J. G. Keulemans’ Three Huia. Based on trends over the last 12 months and of what is popular in Collections Online in general, we expect the top ranks to settle down over time to the always popular broad-based audience or iconic objects, with event-based subject matter moving its way up the order at key times. Te Papa intends to use the popularity rankings to inform digitisation strengths and weaknesses and also focus rights clearance processes. The Getty use the top objects to inform their retail product development; Te Papa could investigate these sorts of opportunities as well. 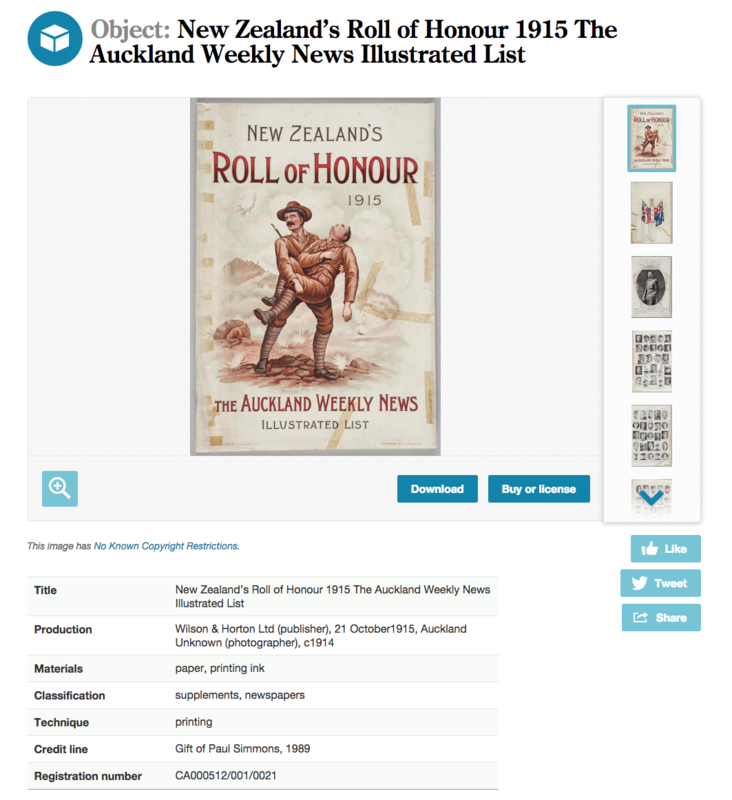 The number-one downloaded collection items are a reflection of the heavy emphasis on the World War 1 centenary: 609 downloads of images from New Zealand’s Roll of Honour 1915 The Auckland Weekly News Illustrated List. The booklet has been downloaded in its entirety (98 images) three times, with others just downloading individual images or sections. The number of respondents to the optional survey at download was 28%, or 4,975 respondents. Looking at Google Analytics sessions across 2013/2014 with the same period 2014/2015, and removing ad hoc spikes through Reddit, etc., there is only approximately only a 5% to 10% increase in sessions, which appears to begin right after launch of the download project and the related promotion. You could argue such a small increase falls within a margin of error and should not be considered a real increase. However, combining this with fairly comparable statistics for those who are generally using Collections Online, and those downloading images for school, professional research, or personal use, it could be summised that the download project has not driven new audiences to the site, but rather added new functionality and increased access for those who were already using it. This conclusion is at odds with what was was noted in the outcomes of of a study of 11 museums including the Walters, Yale Centre for British Art, National Gallery of Art (USA), British Museum, Getty, and Metropolitan Museum of Art: “virtually every museum reported increased website traffic, as well as what they considered a significant interest in the available images. Website visit increases ranged from about 20 to 250 percent, with many museums reporting increases of at least 100 percent” (Kelly, 2013). However, as also noted, due to the differences in collections and audiences, websites, rates of change, and methods of measure, it is difficult to compare “apples with apples.” Te Papa will need more time and to investigate other factors before concluding the open access policy has not increased our reach. The number of times the intended purpose was “To publish in a book” was 107 responses, or 1.87%. However, when looking at the free text explanations, many of these books were actually government department newsletters, school journals, non-profit society newsletters, or home-made books (“a book I am making for my father in his 70s,” “family tree”). Other comments were that the “book” was only in the research phase, so may not even be included. Previously, these users would have had to ask for permission through our Picture Library and possibly would have paid a (small) fee, even though the majority of these uses are non-commercial. These are good examples of uses that may not have happened, as the need to pay, or even the need to ask, would have been a barrier to the users, who may have then looked elsewhere. 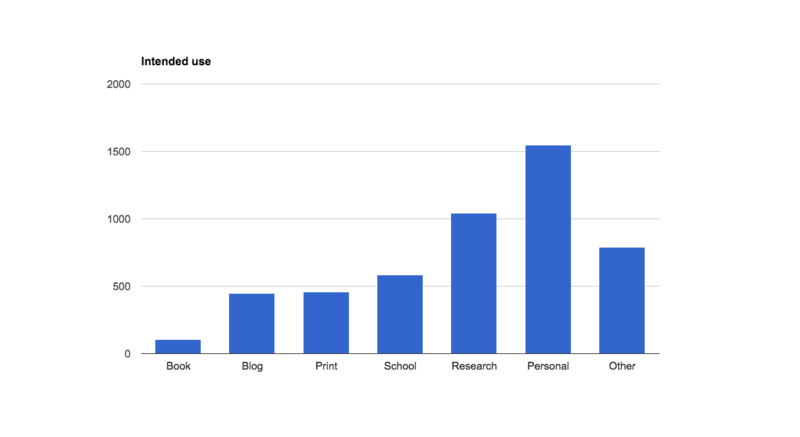 The statistics indicate the majority of the downloads are being used for personal use, education, and research. There is very little indication that images are being used commercially, which had been a concern for some in the Museum. Again, whilst scale and collections are quite different, the Getty download project feedback ran along broadly similar lines. Approximately three quarters (~282,000) of respondents are private individuals downloading for personal or non-commercial use use. Approximately 1% indicated the images were intended for publication. The Getty does have a category for “Commercial use,” which was selected by approximately 12% of users downloading images (Chen, 2015). Generally, there were no real surprises in the types of overall “intended purpose” of Te Papa’s downloaded content; they align with our current understanding of the users of Collections Online. But the most useful (and more interesting) stories come from trawling through the actual comments, where you start to connect much more personally with the stories of use, research, and creativity, and can much more clearly understand the impact of providing access to the public’s collections. The stories also show how our diverse collections meet an incredibly diverse range of audiences and needs, and we simply cannot guess what those are. “I’m a Canadian who lived in Wellington for just under 2 years. Every now and then on my way home from work I would stop by the Te Papa Museum just to see this one painting. I have never been much for art but for some reason this painting… is “something else. I guess maybe that’s the point of it all (art). 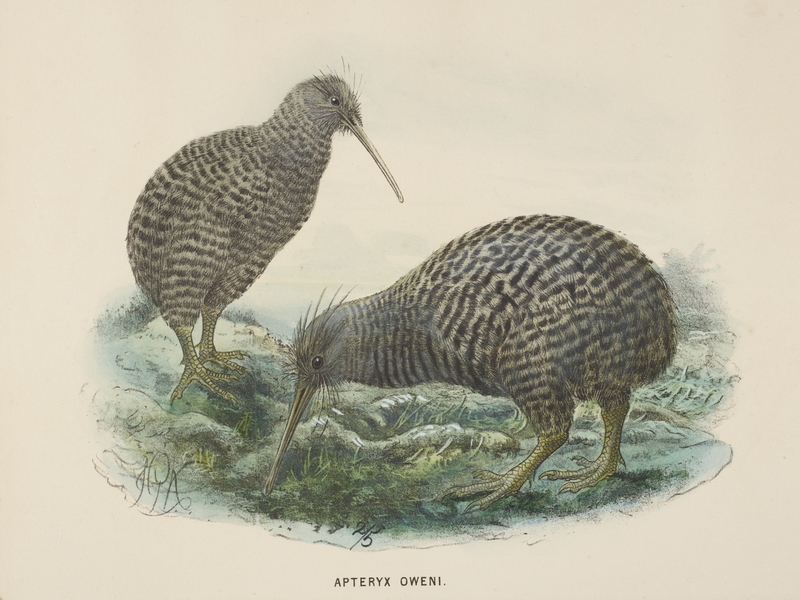 Figure 11: little spotted kiwi (Apteryx owenii), 1872, London, by Johannes Keulemans. Acquisition history unknown. Te Papa (1992-0035-1093/2). 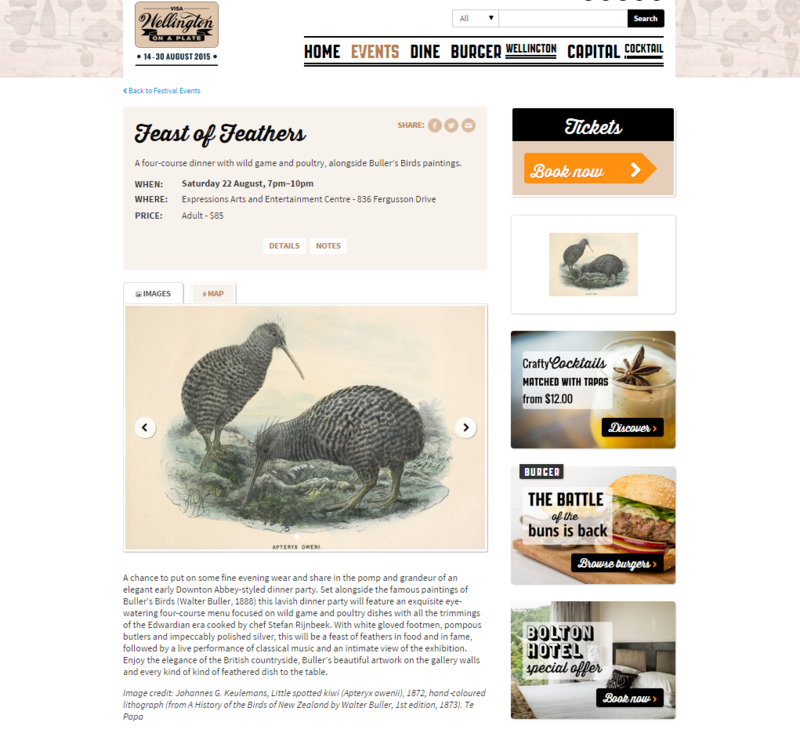 Used as part of a Buller’s Birds themed event as part of Wellington on a Plate. 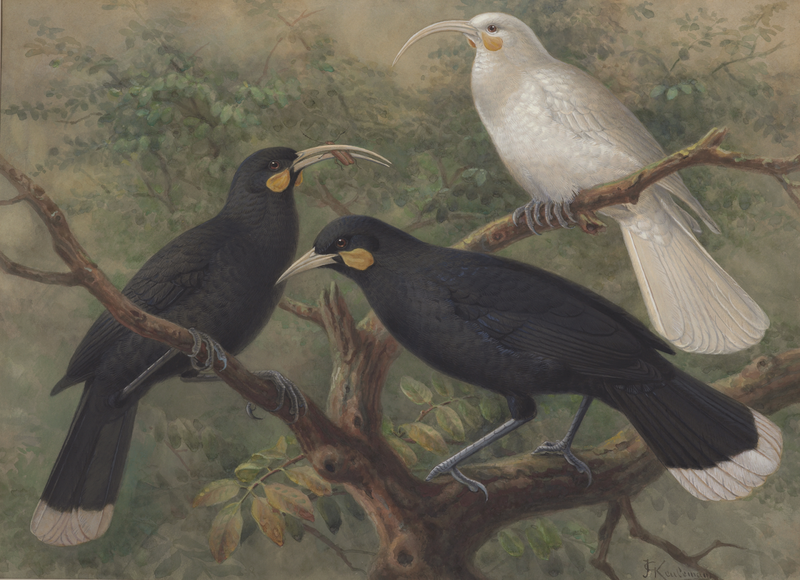 Figure 13: three huia (Heteralocha acutirostris), circa 1900, London, by Johannes Keulemans. Purchased 1993 with New Zealand Lottery Grants Board funds. Te Papa (1993-0029-6). Figure 14: “What will you do for the arts?” Example of collection image reuse. 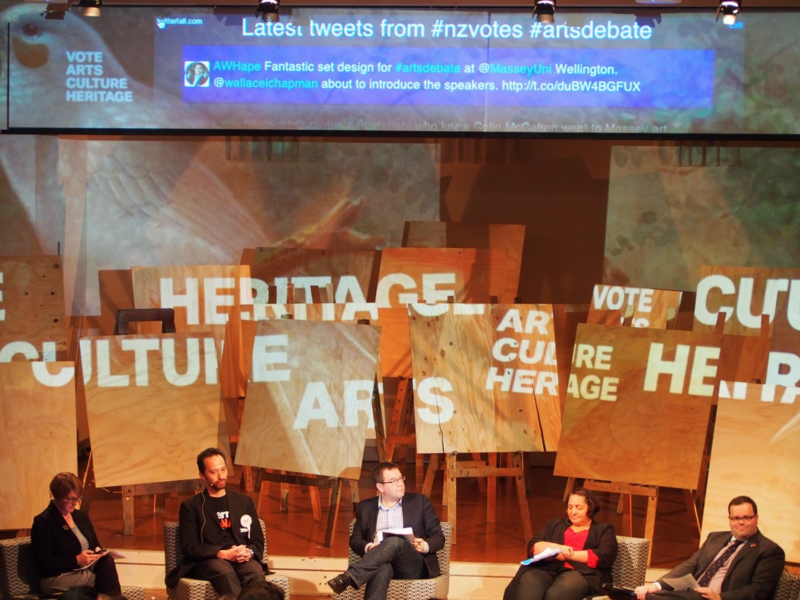 Figure 15: arts debate with projected backdrop. Example of collection image reuse. 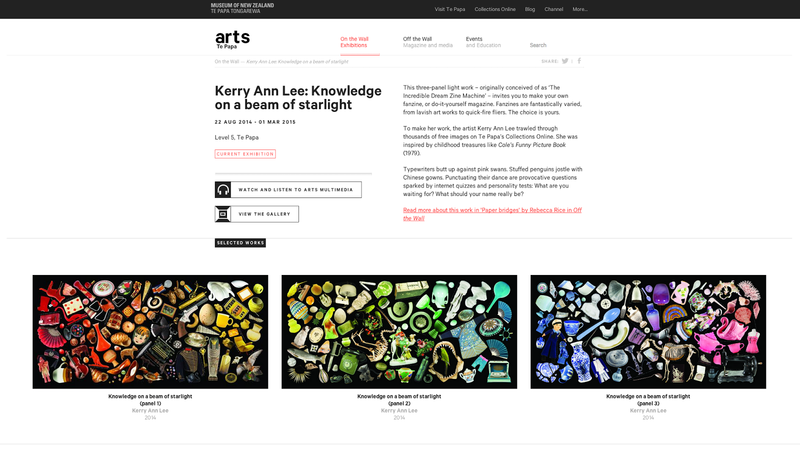 Figure 16: screenshot showing Kerry Ann Lee, Knowledge on a beam of starlight, 2014, a three-panel light work created for an installation in the exhibition Nga Toi | Arts Te Papa, at Te Papa, 2015. Lee created the works using images from the downloadable collections. The first year of Te Papa’s open access program has been a success. We have seen a much higher level of download activity than we imagined, and there is a clear indication that our visitors appreciate the efforts Te Papa has made to make these images reusable and easy to download. The wide range of uses, creativity, and personal stories that have emerged from the program has been surprising; and the evidence that our collections are a relevant part of people’s day-to-day lives beyond the museum is rewarding. We believe the open access image program has significantly increased Te Papa’s reputation in New Zealand and internationally, and brought substantial public good will. Concerns that an open access image program would significantly impact media sales and licensing revenue, and that images would be exploited commercially, have not eventuated. In the area most likely to feel the impact of open access—the Picture Library/Media Sales and Licensing unit—the unit’s revenue remained stable in the year following the launch of the program. There were also significant savings made in operational costs due to the reduced need to process the low-value image requests that are now handled through public self-service. Te Papa has learnt a lot from opening up. We were correct in our assumption that people were interested in using our collections, and removing barriers was all it took. Looking forward, we would like to continue to find out what our users want; keep seeking new ways to make the collections easy to find, share, and use; and ensure we are learning as we go. The use data (and the narrative surrounding it) that we have collected from from one year of open access is incredibly valuable—it provides compelling reasons to continue our program, contribute our images to collaborative efforts like Wikimedia, and explore expanding the program to include data and embrace more open Creative Commons licenses. 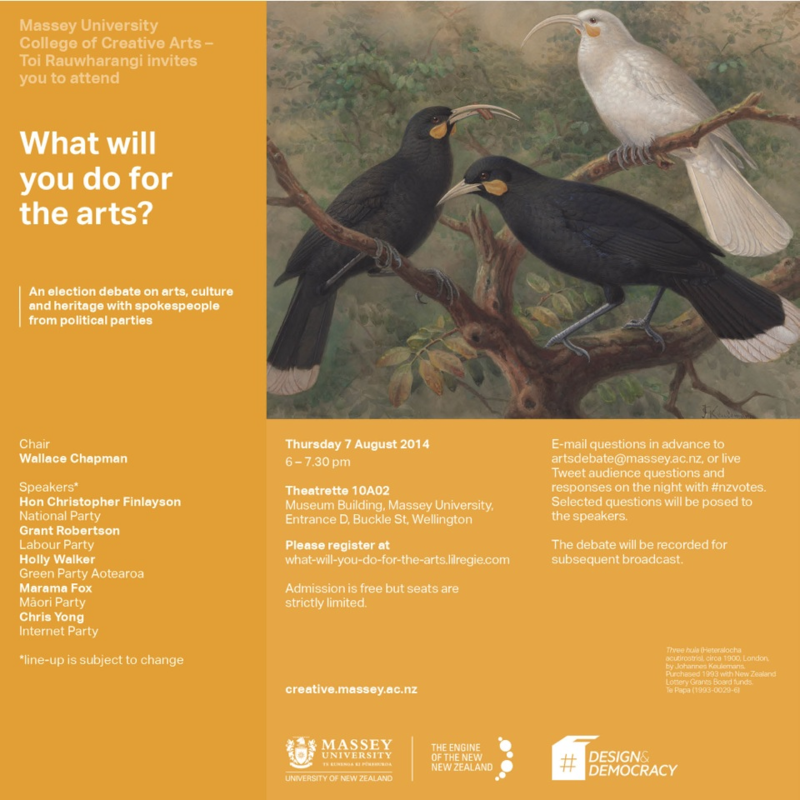 Victoria Leachman (Te Papa), Raj Rajneil (previously Te Papa), Curdin Krummenacher (Te Papa). Chen, C. (2015). Personal communication and internal statistics shared by Getty Museum. August 12. New Zealand Herald. (2014). “Te Papa puts part of national collection online for free.” June 4. Available http://www.nzherald.co.nz/nz/news/article.cfm?c_id=1&objectid=11267600.
. "A review of a year of open access images at Te Papa." MWA2015: Museums and the Web Asia 2015. Published August 15, 2015. Consulted .